Mike Della Fave’s third graders work to find the area and perimeter of shapes in the hallway at Weatherbee. Principal Kim Cain and Assistant Principal Cassandra Fess receive a donation of food from the Fort Pierce Elks Lodge #1520. This generous donation will assist in keeping some of our neediest students fed over the winter break. The Holy Family Church Council of Catholic Women presented Weatherbee Principal Kim Cain with a generous donation of Blessings In Bags which will assist in making the holidays bright for our Mariners. 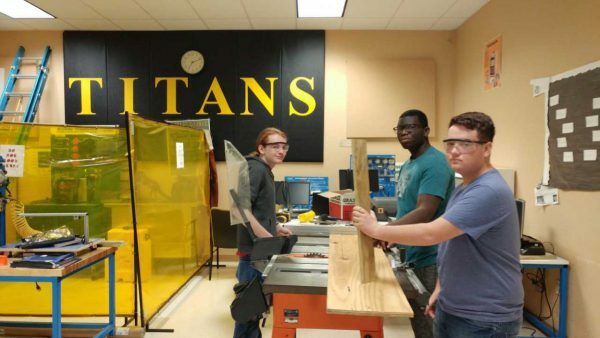 It’s early morning and Treasure Coast High’s Manufacturing Lab is busy! 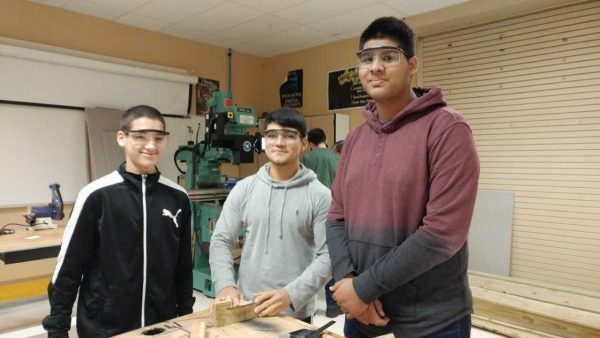 Mr. Ordonez’s students are working the machines using critical thinking, engaging in teamwork, making connections, and applying classroom lessons to hands-on activities. 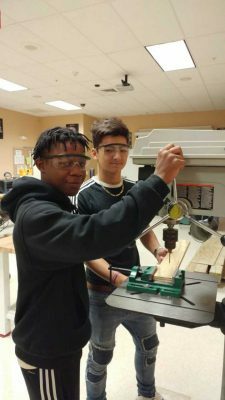 Awesome things are happening at Treasure Coast High! Go Titans! Port St. Lucie High School Jaguar Battalion Raiders Undertake Survival Campout at Camp Tanah Keeta!